A Jedi must be a fearless warrior, a guardian of justice, and a scholar in the ways of the Force. But perhaps a Jedi's most essential duty is to pass on what they have learned. Master Yoda trained Dooku; Dooku trained Qui-Gon Jinn; and now Qui-Gon has a Padawan of his own. But while Qui-Gon has faced all manner of threats and danger as a Jedi, nothing has ever scared him like the thought of failing his apprentice. Obi-Wan Kenobi has deep respect for his Master, but struggles to understand him. Why must Qui-Gon so often disregard the laws that bind the Jedi? Why is Qui-Gon drawn to ancient Jedi prophecies instead of more practical concerns? And why wasn't Obi-Wan told that Qui-Gon is considering an invitation to join the Jedi Council-knowing it would mean the end of their partnership? The simple answer scares him: Obi-Wan has failed his Master. When Jedi Rael Aveross, another former student of Dooku, requests their assistance with a political dispute, Jinn and Kenobi travel to the Royal Court of Pijal for what may be their final mission together. What should be a simple assignment quickly becomes clouded by deceit, and by visions of violent disaster that take hold in Qui-Gon's mind. 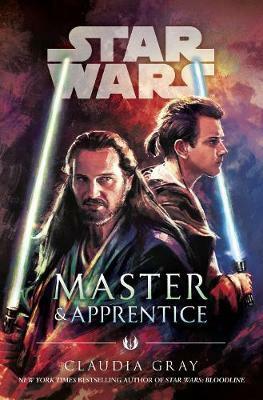 As Qui-Gon's faith in prophecy grows, Obi-Wan's faith in him is tested-just as a threat surfaces which will demand that Master and Apprentice come together as never before, or be divided forever. Claudia Gray is the author of Star Wars: Bloodline; Star Wars: Leia, Princess of Alderaan; and Star Wars: Lost Stars. Her other books include Defy the Starsand the Evernight, Spellcaster, and Firebrand series. She has worked as a lawyer, a journalist, a disc jockey, and a particularly ineffective waitress. Her lifelong interests include old houses, classic movies, vintage style, and history. She lives in New Orleans.